More than 90% of vaccinations were administered by a clinician in an office setting. DENVER — From 2007 to 2015, US adults most often underwent initial hepatitis A, B, and A/B vaccination at a physician office, administered by a primary care provider, according to research presented at the American Association of Nurse Practitioners (AANP) 2018 National Conference. 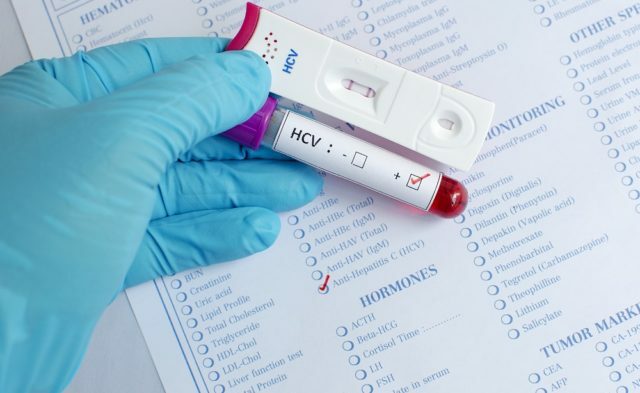 Retrospective analysis of hepatitis vaccination information from Truven MarketScan commercial/Medicare and Medicaid healthcare claims was conducted to assess the location and provider type for adults, including at-risk patients, undergoing initial hepatitis A, B, or A/B vaccination. At-risk patients were defined as per Advisory Committee on Immunization Practices (ACIP) recommendations. Eligible participants included adults aged 19 years and older with 1 or more claims for hepatitis A, B, or A/B vaccination. Participants with 12 or more months of continued pre-index date eligibility and 18 or more months of post-index date eligibility were included in the study. The researchers also included a cohort of at-risk patients with at least 1 ACIP-defined condition for hepatitis A or B and less than 2 hepatitis A or B diagnoses at baseline. A total of 350,973 eligible participants (average age between 42.1 and 45.8 years) were included in the analysis: hepatitis A, B, and A/B vaccination was initiated by 52.2%, 42.2%, and 18.5% of the overall population, respectively. Data revealed that initial vaccines were predominantly provided by family practice and internal medicine physicians: 38.9% and 20.2% for hepatitis A vaccination, 43.7% and 21.4% for hepatitis B vaccination, and 35.3% and 15.9% for hepatitis A/B vaccination, respectively. Vaccination took place in a physician office setting for more than 90% of the initially administered vaccines. At-risk patients comprised 25% of the overall cohort, with vaccine provider and setting trends similar to those for the overall population. “Improved education and resources targeting primary care providers, including nurse practitioners who play an important role in primary care settings, may help to address low hepatitis A and B vaccination coverage among adults in the US,” the authors concluded. Disclosure: This study was sponsored by GlaxoSmithKline Biologicals SA. The authors of this study are employees of either GlaxoSmithKline or Analysis Group, Inc.
Ghaswalla PK, Patterson BJ, Cheng WY, et al. Hepatitis A, B and A/B vaccination rates by provider and place of vaccination: a retrospective analysis using insurance claims data, 2007-2015. Presented at the American Association of Nurse Practitioners 2018 National Conference. June 29-July 1, 2018; Denver, CO. Poster 8.